Slot machines have been a favourite casino game for many years. First making an appearance over one hundred years ago, the evolution of slot gaming technology is an interesting concept. Even in the 21st century, slots are still being improved and developed to keep up with the advancement of technology. Today, slot machines still draw some of the biggest revenues in casino gaming as they grow alongside their gamblers. In this article, we explore the evolution of slot gaming technology in more detail. The first gambling machine was introduced in 1891 and designed by inventors Sittman and Pitt. At this stage, the concept of the modern slot machine did not exist, and the invention resembled the modern poker machine, instead. A few years later, inventor Charles Fey introduced the first slot machine to the market. Featuring automatic payouts and the use of symbols, this machine formed the foundation of the slot machine we know today. Charles Fey’s invention was so successful that almost every other slot released was a replica of his work. As a result of the success, he eventually opened a slot machine factory and began to produce thousands of ‘Liberty Bell’ machines – the name of his new invention. During the 20th century, the popularity of slot machines and the gambling industry skyrocketed. The big-gest change came when manually operated slot machines were developed into sleek electronic ma-chines. Instead of releasing sweets and chewing gum as the reward, slots began to release instant cash prizes. 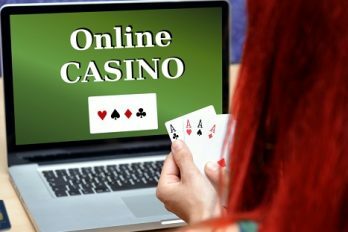 Although the dominance of online slots didn’t occur until the 21st century, online games were first availa-ble in the 1990’s. During this time, gaming software was developed that helped to power online games. It wasn’t long before software companies started to develop their user experience and the gameplay of online slots was improved. With better graphics and fewer instances of lag, many gamblers started to play online, instead. By the late 1990’s, online slots had become a popular way to gamble and represented the ideal slot gaming experience. Although gaming software had come a long way by the millennial, it continued to be developed and im-proved. Over time, a wider variety of slot games became available, each one offering a different experi-ence. 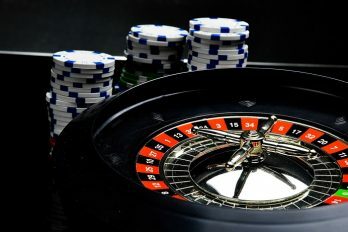 The online slots of the 20th century brought a number of changes to slot games including new and improved online graphics, high-quality surround sound, and access to slots via multiple platforms and de-vices. Below, we discuss some of the key changes to slot machines in the 20th century. 1907: In 1907, changes to the gambling law meant that slot machines were legal for the first time in 5 years. However, the new machines only dispensed sweets and small gifts. These machines first intro-duced the fruit symbols that can still be seen today. 1963: In 1963, electronic slot machines hit the market. The first ever electronic machine was created by slot manufacturer, Bally, but was not fully electronic. Although the reels were electronic, a mechanical lever was used to spin the reels. However, it wasn’t long before the lever was removed and the whole game became electronic. 1976: In 1976, the first video slot machine was introduced. Made by Fortune Coins, the machine was so popular in Las Vegas that it could be found in most hotels in the city. 1990’s: In 1994, the first online slot machine was introduced. Two years later, a bonus round was added to the game which allowed players to continue the gameplay on a second screen. With this in mind, the 1990’s marketed the first introduction to modern slot machines. Referred to as the ‘internet age’, the 21st century has already seen the development of 3D technology and 3D slot machines. Designed to make the casino-experience as realistic as possible, virtual reality casi-no games can be played using a VR headset. To use a virtual reality casino, the first thing you need to do is put on your headset. Once you’ve done so, everything around you will be blackened out until the new screen appears. Giving the impression of a physical world, the player can then interact with their new surroundings using a controller or their hands. Although all VR casino games are different, most games feature a range of slot machines, table games, and lounge areas for players to socialise in. Accompanied by fitting background music, gamblers can inter-act with other players while they gamble remotely. Once you have explored your new surrounding, choose a slot machine and get started! Although VR casinos have come a long way already, they should be further improved in the near future. As technology develops, a wider range of slot machines and oth-er casino games will become available. Although online casinos are great, they don’t provide the same atmosphere of playing in-house. 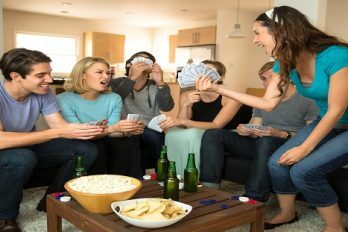 VR casinos, however, are designed to provide players with the best of both worlds – accessible gambling with the ability to interact with other players. Although the 20th century saw a number of big changes in slot gaming, slots will continue to evolve with new technology. Whether you’re an avid gambler or a complete novice, slot machines can be enjoyed by people of all sorts. Thanks to online casinos, it’s now easier than ever to enjoy slot machines. As betting sites rise in populari-ty, new casinos are popping up every day. Although this gives you a wide range of choice, it can be tricky to decide which one to use. Thankfully, we are here to help! At casinobet.com, we review a wide range of casinos and games so that we can give you an insight on the best ones to play at. Better still, we take into account any offers or promotions to help you get the most for your money.